New Yorkers can now test a new kind of high-tech outdoor recycling bin already widely used by pedestrians in London. 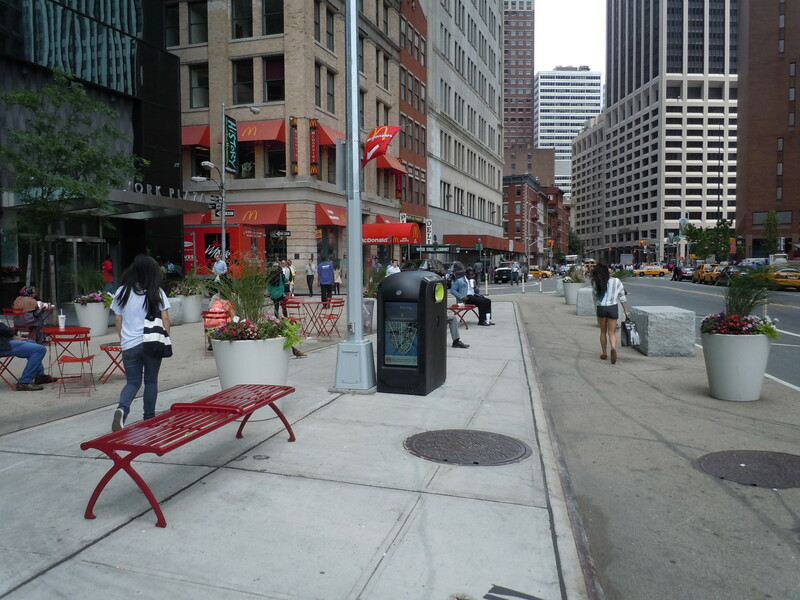 Media Metrica Ltd, the manufacturer of Renew recycling bins, has installed one of their state-of-the art units as a pilot project in lower Manhattan. 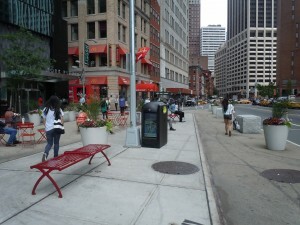 On June 15th, with the help of Capalino+Company and working closely with the Downtown Alliance, a Renew recycling bin began broadcasting in the center of the recently opened New York City Department of Transportation (DOT) pedestrian plaza at the intersection of Whitehall and Water Streets. The bin, which features dual 32-inch sun-light readable, LCD panels, will display important announcements, maps of the local area, and improve the City’s ability to communicate with pedestrians at no cost to taxpayers.